Over these past couple of months I have started to take more care over improving and refining my skincare routine so that I only use products that really benefit my skin type. 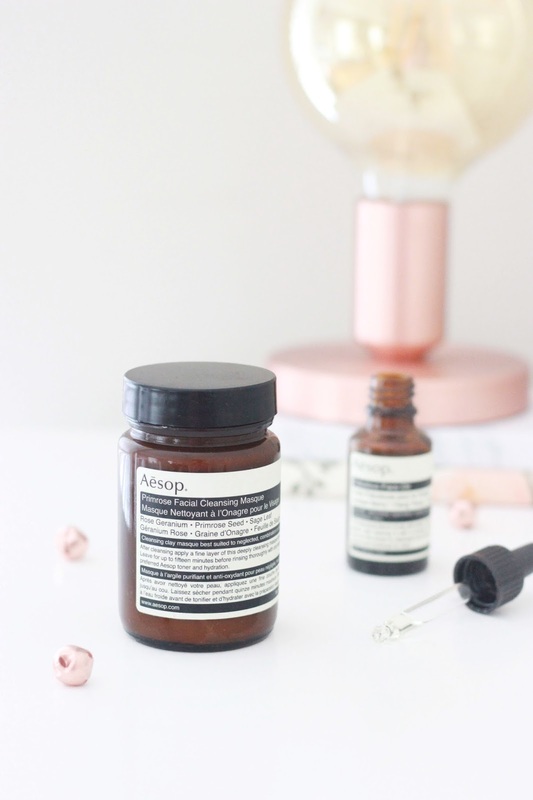 I've been taking a much simpler,more natural approach to my skincare, so it's no wonder that Aesop has been a huge factor in the overhaul of my routine. Today I have put together a duo that I believe has helped nourish, soothe and heal my problematic, parched skin. I tend to find myself reaching for the Aesop Fabulous Face Oil on a daily basis as it adds an intense hit of hydration, whilst promoting supple, radiant skin. This lightweight oil is enriched with juniper berries, jasmine and ylang ylang to de-congest and fix any skin woes. I usually find products targeted to prevent and heal blemishes can be the ones that dry my skin out the most, but this offering has the balance just right. It visibly improves my skin instantly by giving it a boost, but with sustained use I have seen a massive difference in glow and clearance. Although we're well into February, throughout January I still felt that my skin was suffering from the overindulgence of Christmas and it was in serious need of some extra TLC. Clay masks are notorious for draining the skin of moisture, but with their skin clearing and blemish busting formulas I usually end up slapping on a few extra layers of moisturiser to compensate. That was until I tried the Aesop Primrose Facial Cleansing Masque; a clarifying mask that perfects neglected complexions and rejuvenates dull looking skin. It draws out imperfections, makes the skin glow and helps it to appear clearer and calmer after one application. If my skin is in need of hydration, but I have some aggravated blemishes, I always reach for this offering as it's a great all-rounder that deals with all of my skin's problems in 15 minutes. Have you tried any Aesop products?